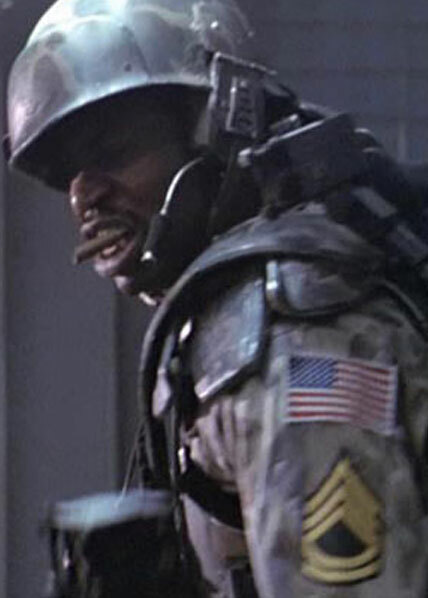 Sergeant Apone is the SCO of the Marine squad sent to LV-426. He is a non-nonsense military man who commands both the respect and friendship of his men. He was one of the few during the attack under the processing plant that kept his head and worked to keep the squad focused. He along with Dietrich was one of 2 marines not killed but captured for impregnation. Due to his ability to lead and command his men on the battlefield, they are more likely to stay focused. As an optional rule, if during the game Apone should be killed or taken, the squad will fall into a bit of disarray without his lead. All characters will subtract 1 from combat rolls for the remainder of the scenario.